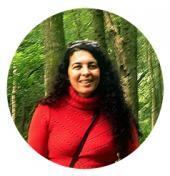 Teresa Pereira completed the Permaculture Design Course (PDC) in April 2014 and embarked on the Dip. 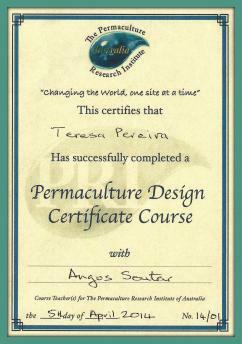 in Applied Permaculture Design with the North Britain Permaculture Institute in October 2015. The Diploma journey has been an exploration in how to apply permaculture design to a series of ‘invisible structures’ and land-based projects. She applies the patterns of permaculture design thinking to lifestyle, community and social projects. Her main interest is how to connect people to natural environments in holistic ways, with a focus on health and well-being, permaculture education, agroecology, ecovillages design and bio-regions. Teresa studied biodynamic gardening 15 years ago, and got an appetite for designing and growing edible gardens. What started as a hobby progressively became a line of work, that led to the organic development of an environmental education practice and ecological gardens design consultancy. Teresa also co-teaches the Permaculture Design Course with Angus in Manchester and co-develops and manages the School’s Virtual Learning Environment.